A master dumpling chef making a perfect 18-fold Xiao Long Bao (soup dumpling) at the original Din Tai Fung. This story is part of our "Good Taste Tour" series. Giant Robot Media travels all over the world to find things with good taste, whether it be food, drinks, art, or hand made products. It's also an excuse for us to just travel. Pork, shrimp, and ginger is minced together into a smooth paste. A wafer thin disc of dough envelops the mixture. A cube of frozen soup is secretly tucked inside. 1, 2, 3… 18 folds wrap the meat concoction, encased in a fragile sculpture and is then carefully placed in a bamboo basket to steam. 12 minutes later, the perfect soup dumpling emerges. 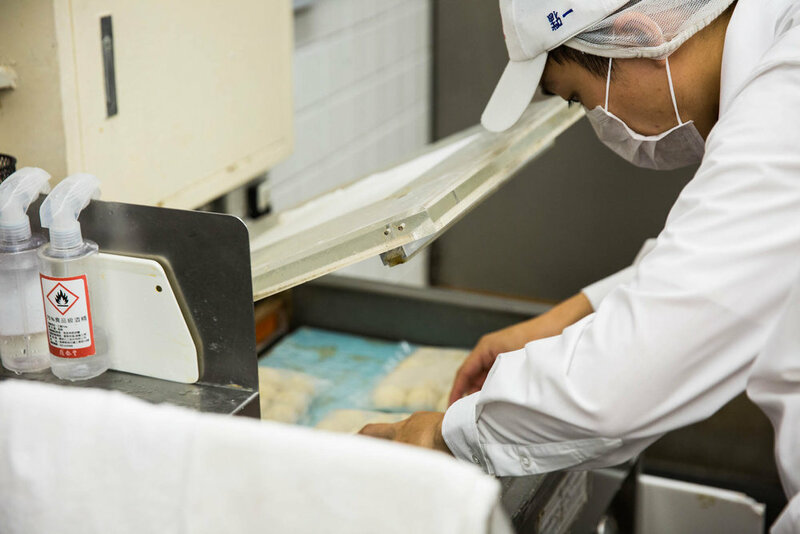 This is the journey of how the Din Tai Fung dumpling is made. 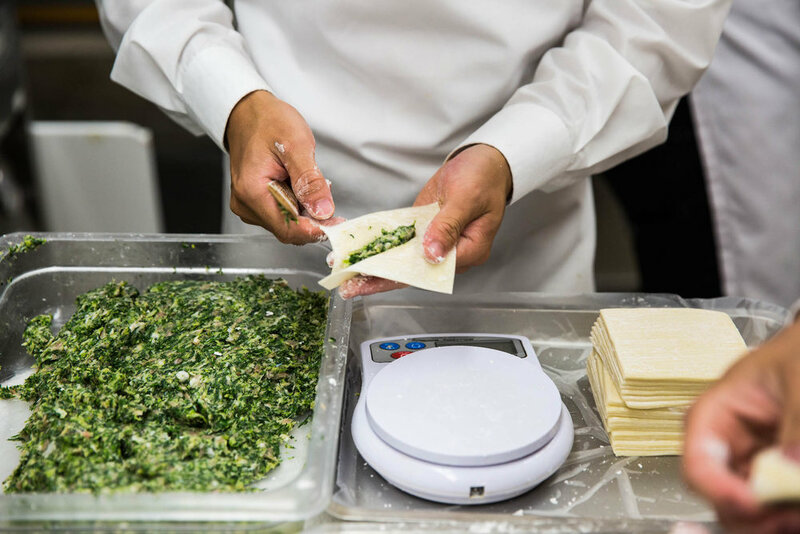 For over 45 years Din Tai Fung has been delighting customers with their dumplings, noodles, and more. 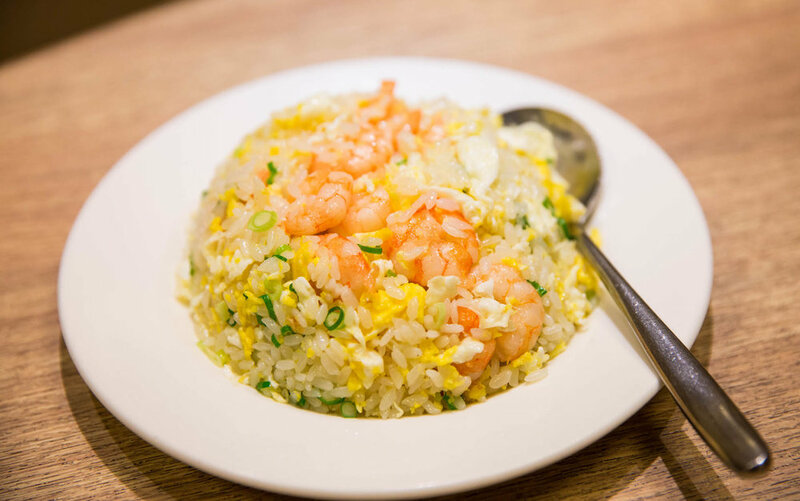 It’s become an international icon, a hallmark of Taiwanese and Chinese cuisine. 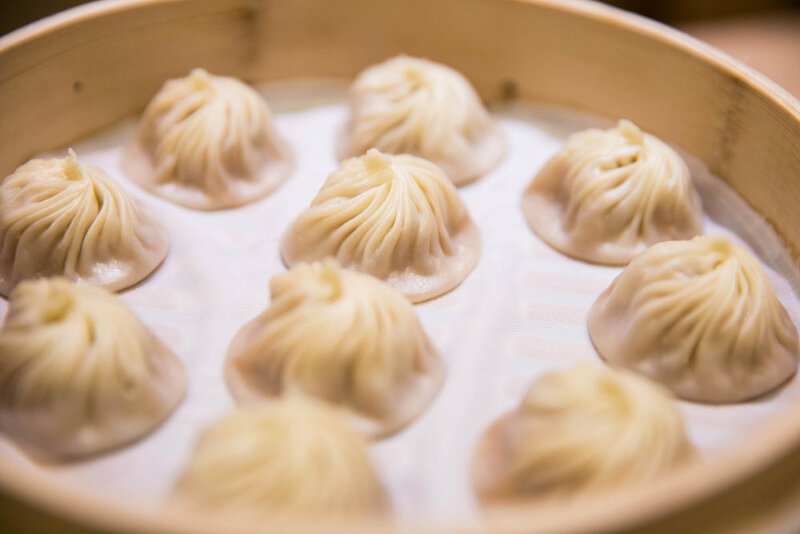 Today, Din Tai Fung is going for a world takeover as they continue to open even more locations across the United States and the United Kingdom. During our tour in Taiwan, we got a chance to interview Warren Yang, the oldest son of the original Din Tai Fung founder and the current CEO and President of the company. Mr. Yang shares with us how a humble cooking oil company turned into a food cult phenomenon. A video of our interview with Warren Yang, the CEO and oldest son of the founder of Din Tai Fung. A translated post in Mandarin coming out soon. GR: I heard in the beginning Din Tai Fung was actually a cooking oil business, and not selling dumplings. Mr. Warren Yang: My father originally sold different types of cooking oils. However, when vegetable oil became popular, older alternatives like peanut oil became something of the past. We were losing business quickly. One of my father’s friends suggested that he open a small eatery that mainly served noodles and dumplings. That’s how Din Tai Fung started. GR: I heard the dumpling recipe was handed down to you. How did that happen? Y: Well, interestingly enough the chef we hired to cook in the restaurant was trained in China and just brought over the recipe when he came over to Taiwan. My father just hired him, and that recipe just so happened to be the one. GR: Were there a lot of customers in the beginning? Y: Not really. Times have changed a lot. Back then, people were very poor and since there were rarely any restaurants in the early times, Din Tai Fung business was not very good. It became popular when Mr. Han-Yong Chiu recommended Din Tai Fung in a Japanese magazine. Soon, there were a ton of Japanese customers. 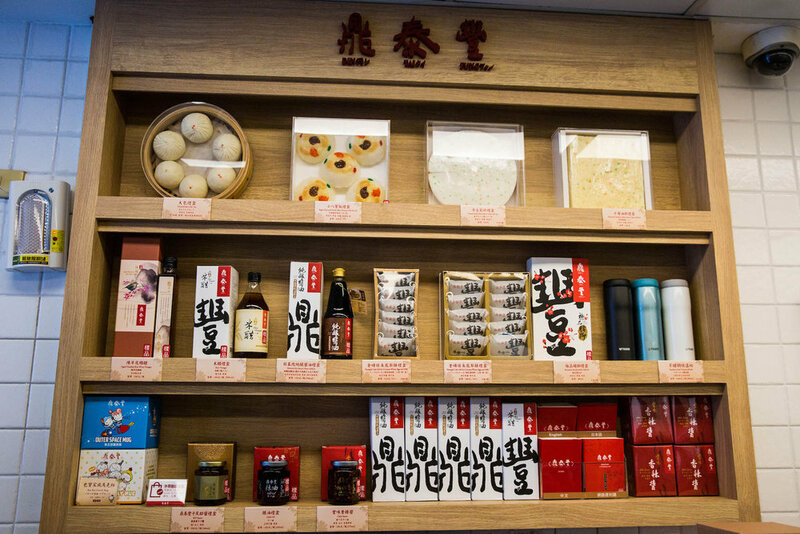 Because of the frequent interaction between Japan and Taiwan, Japanese customers would bring Taiwanese friends to Din Tai Fung and the dumplings started spread from word of mouth. That was how the reputation of Din Tai Fung was built up in Taiwan. Inside the first Din Tai Fung kitchen in the world. A team of busy chefs craft soup dumplings in less than a few hundred square feet. 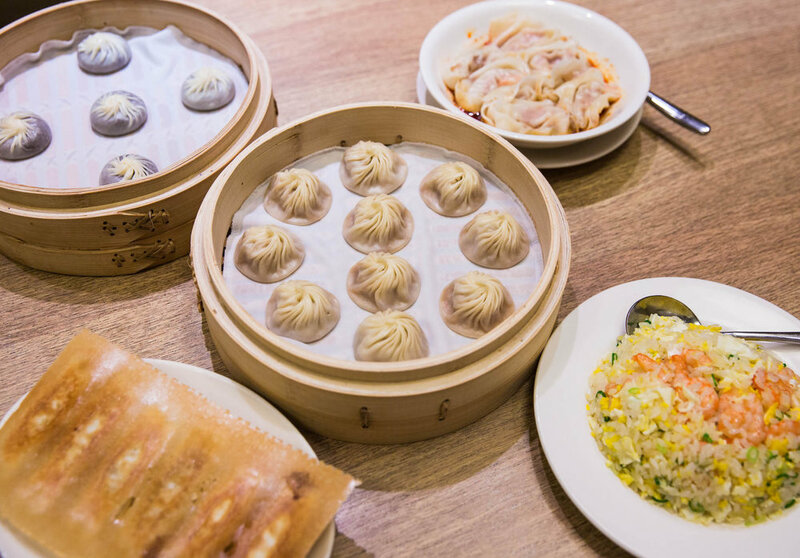 GR: When did Din Tai Fung open its first location outside of Taiwan? Y: Din Tai Fung opened the first overseas branch in Shinjuku-Takashimaya in Japan in 1996. GR: How many branches of Din Tai Fung are there now? Y: Din Tai Fung currently has 139 restaurants. GR: The Hong Kong Din Tai Fung received a Michelin star. How did you feel about it? Y: It was of course an honor to receive a star. However, rewards are only momentary. It’s actually the long-term business of maintaining our reputation and quality of service that matters. There a lot of customers visiting Din Tai Fung, and at least 20% of them are not local to the area. Some people travel tons of hours just to eat our food. We have to do our best to make all of our customers satisfied. GR: What’s one of the most touching stories you’ve heard from a customer at Din Tai Fung? Y: There’s one gentleman who’s been eating our chicken noodle soup for at least five, six years. His wife always tells their friends that our chicken soup noodles are like vitamins for his life. That really got to me, how our food was a deep-rooted part of his daily life. GR: I really admire the customer service and care at each Din Tai Fung location. Everyone is really polite, accommodating. Some locations are multilingual and you hear staff speaking Japanese, Korean, Mandarin, English, Spanish, French, and more. Do you mind talking about the Din Tai Fung philosophy in serving customers? Y: 10-20 years ago, there were a lot of tourists. I wanted to be sure that when people from all over the world come to Taiwan, they don’t have to worry about communicating with our staff. I myself don’t speak any other languages than Mandarin, so I completely empathize when I’m not in my comfort zone. When I travel to Japan or America, I never find a problem communicating with staff since they can speak my language. A sample spread. In the middle, the famous soup dumplings. From the left going clockwise, spicy wontons, shrimp fried rice, pot stickers, and red bean dumplings. GR: Among all the locations in the world, which Din Tai Fung restaurants are the most uniquely designed? Y: Probably the United States. Americans have a high affinity with design, and a well-designed space attracts people to come. Not only that, we invested a lot in our build-outs to help change the impression of Chinese and Taiwanese cuisine. The stereotype of a cheap, messy Chinese restaurant is something we want to change. Chinese/Taiwanese cuisine is made with incredible labor of love. We go as far as to invest over 3-4 million dollars in build-outs. GR: Do you remember how long it took you to make a Din Tai Fung level soup dumpling personally? Y: It took a couple of months. Practice makes perfect! GR: How long does it take to be a certified Din Tai Fung soup dumpling chef? Y: It takes about two years. They have to learn how to do the perfect flour proportions and have the perfect technique. 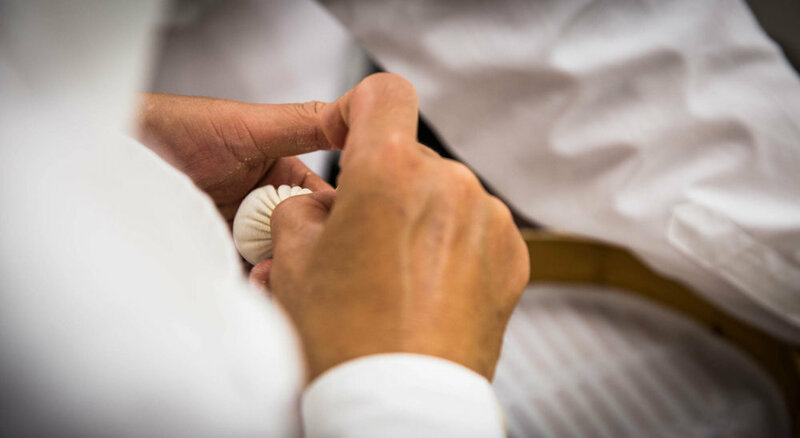 GR: Any special requirements to be a chef at Din Tai Fung? Y: We really hope they have a passion for soup dumplings. It’s hard work and you stand for about 9 hours every day in the kitchen. Mr. Warren Yang himself, CEO and oldest son of the founder of Din Tai Fung. 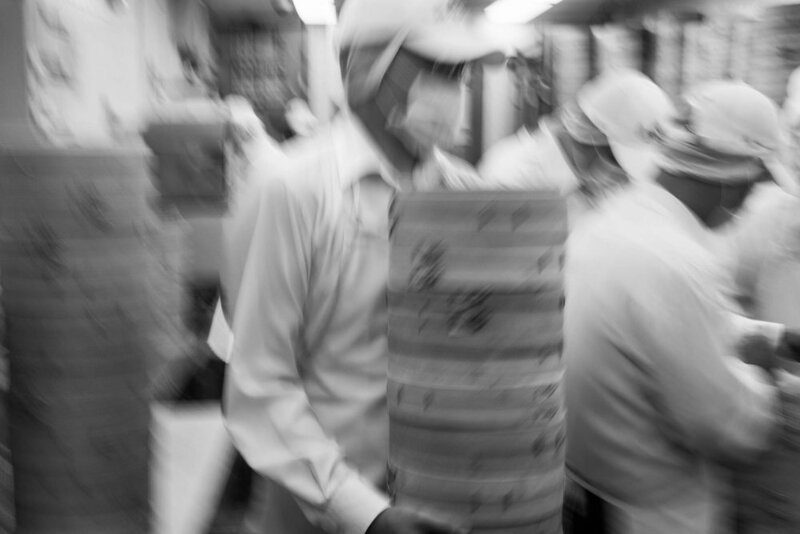 Warren and his brother, Frank, run the world’s Din Tai Fung branches. GR: Din Tai Fung has launched many soup dumpling flavors. What is your favorite flavor? Y: The original. I am not a sweets kind of person, but the new chocolate dumpling is very popular among customers. GR: I noticed Din Tai Fung has started serving Boba. I’ve drank it a lot myself. How did that get started? Y: We started serving Boba at the Seattle location. 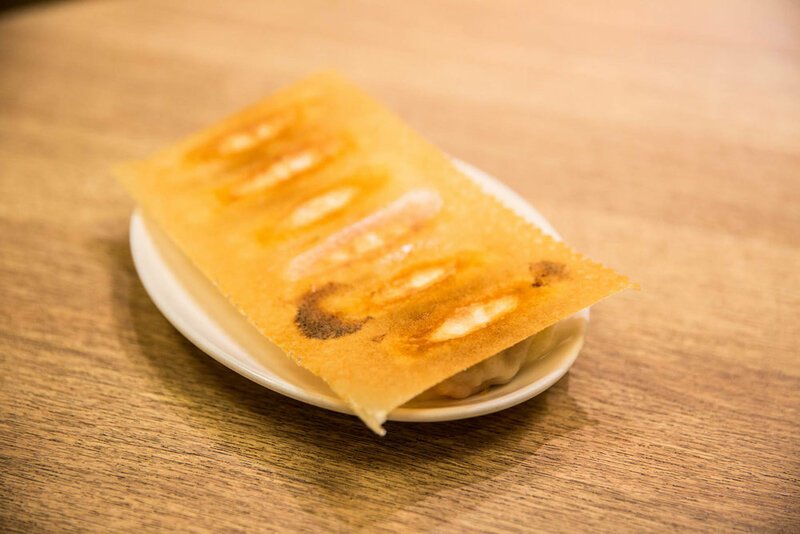 The idea mainly came from customers wanting to experience other Taiwanese foods. So, we added Boba and also pineapple cakes. GR: Any plans to open in NYC? Y: Not yet. The rent in NYC is so expensive and we don’t have enough support staff to open a successful branch. Maybe in 5 years. A chef quickly turns to check the orders while switching cooked and uncooked dumplings. GR: With so many branches, is it hard to make your food consistent? I’m guessing you always have to change your ingredients depending on the locale. Y: What animals eat really effects their taste. Same goes for the environment of vegetables. Everything is different in Taiwan, so when we open elsewhere, we spend weeks to find ingredients that are comparable to the quality and flavor. GR: Din Tai Fung is considered a family business. How do you balance family and business? Y: I think the family business part happened by accident. Funny enough, my father wanted me to get a white-collar job. But when Din Tai Fung became a hit, I pivoted and joined my father in 1996. GR: A lot of people have tried to imitate Din Tai Fung. What is your thought on that? Y: It challenges us to be better. Our company needs to take care of our staff and we always provide better benefits to keep our employees happy, and our customers. GR: Din Tai Fung has become quite a successful Taiwanese-Chinese restaurant. What’s in store in the future for Din Tai Fung? Y: Well, we don’t think we’ve hit perfection, so we’re striving to try new things. GR: Any advice to the young entrepreneurs out there? Especially in food? Y: You can’t get anywhere without a lot of effort. Never be afraid to work hard. Being successful means having the right attitude and be personally responsible for everything. Find your local Din Tai Fung location here. For you LA peeps, we recommend this location.